The SARARMS SAR K245 Semi Auto Pistol is not just another pretty gun. It is loaded with the features you want. 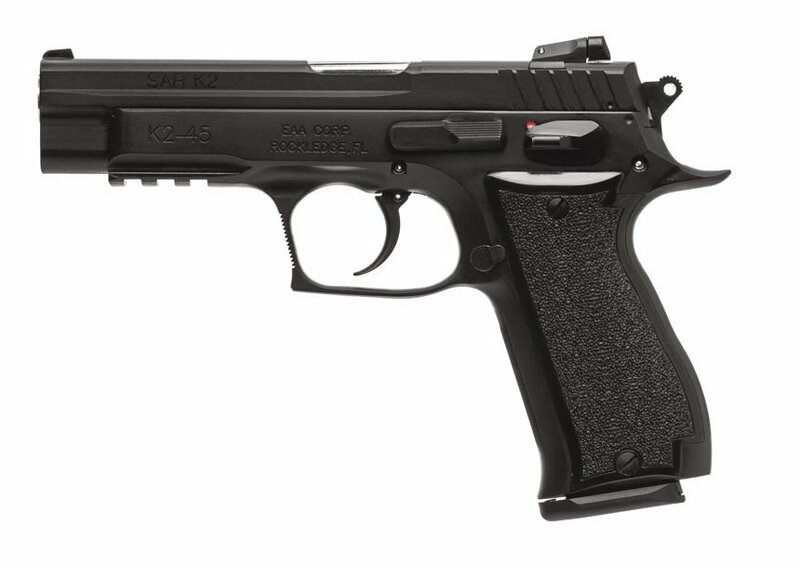 Built by Sarsilmaz for the Turkish Military, the K2 was designed using modern technology to produce a state of the art handgun. 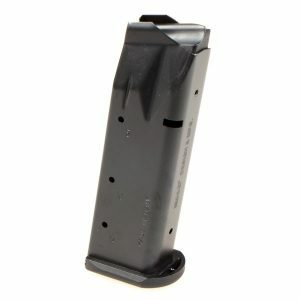 It is impressive from barrel to grip, and built for a lifetime of reliability. You’re going to love this pistol. Features Include: A cocked and locked carry system, ergonomically designed grip, steel frame and slide construction, adjustable rear sight, extended beaver tail, serrated trigger guard and frame, removable dove tailed front sight, auto firing pin block, a low barrel axis for reduced felt recoil and a high capacity that will amaze you given the comfortable grip. 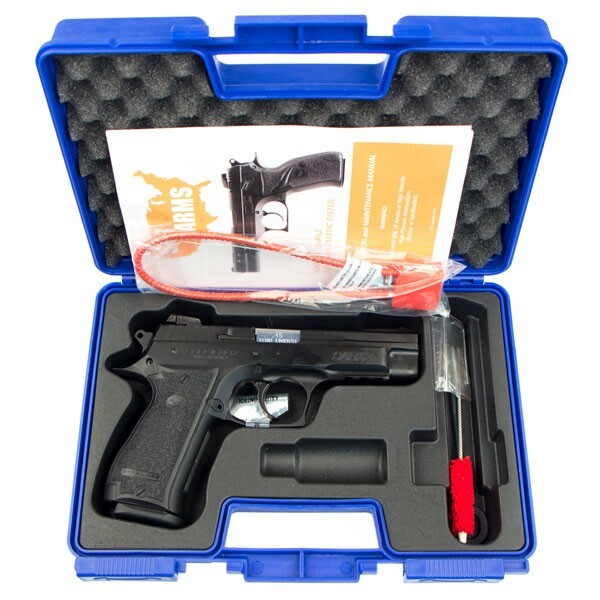 Sarsilmaz SARARMS SAR K2P-45 .45ACP Pistol in case with cleaning brus and rod. 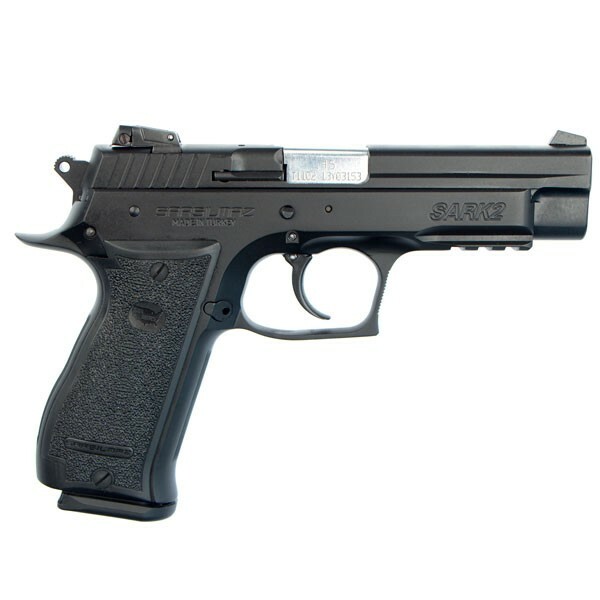 The SAR K2 series are close clones to the infamouse CZ75, and in fact, the CZ75 mags work in the 9mm version of this gun. Further, there is a connection to the Browning Hi-Power. If you combine the best of these guns and then build it in a state-of-the-art factory, you have a combination you can’t beat at this price point. We have also have additional magazines for those who want more at $30 which retail at $44. These are genuine SAR mags made by MecGar.